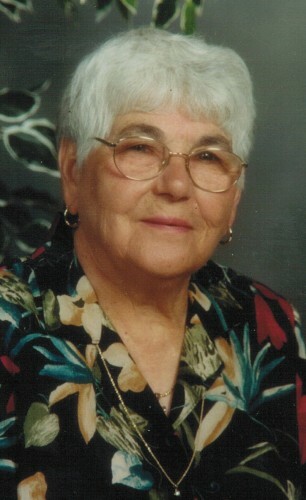 Theresa M. Juliano, 88, of Warren, PA. died Wednesday afternoon, December 14, 2011 at her residence. 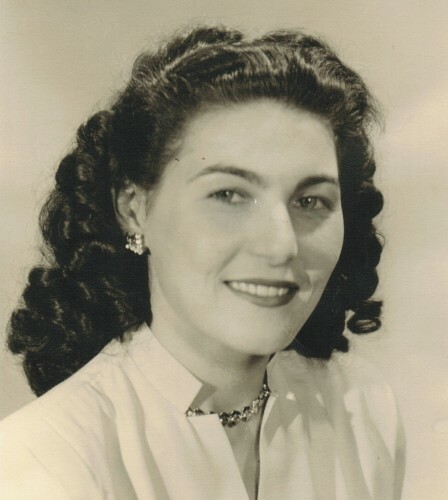 She was born October 4, 1923 in Sinopoli, Italy to the late Antonio and Mary Corso Zucco. She has resided in Warren for the past 62 years and was employed with the former New Process Company retiring after 27 years service as a supervisor in the Returns Dept. She was a member of St. Joseph R.C. Church and volunteered at the church soup kitchen, and the school cafeteria for many years. She loved her children, grandchildren and the comfort of her home. She loved tending to her garden, especially her roses. She is remembered as truly the most wonderful mother, wife, and grandmother. She is survived by her husband of 62 years, Angelo “Ange” A. Juliano whom she married June 4, 1949 at St. Callistus R.C. Church, Kane, PA., 4 Children – Sylvia Russell, Mary Beyer and husband, Tim, Tina Ziegler and husband, Rob all of Warren, PA., Angelo P. Juliano and his wife, Lynn of Rochester, N.Y., 3 Sisters – Jennie DeFilippis of Niles, OH, Angela Pellegrino and husband, Tony of Warren, PA., Josephine Cameneti and husband, Jim of Warren, OH., 7 Grandchildren – Ryan Russell and his fiance, Amanda of Erie, PA., Emily Beyer and husband, Eli Grill of Warren, PA., Christian Beyer and wife, Kim of Erie, PA., Michael Ziegler of Pittsburgh, PA., Jonathan Ziegler of Erie, PA., Corey Juliano of Binghamton, N.Y., Peter Juliano of Rochester, N.Y., Great Granddaughter – Grace Emily Beyer of Erie, PA., several nieces and nephews. In addition to her parents, she was preceded in death by 1 Brother – Joseph Zucco, 1 Granddaughter – Kristen Juliano. We were so sorry to hear the new about Theresa. My mother Carol Anderson is visiting with us down in Texas and we received a call this morning from Mr. and Mrs. Culbertson to let us know the news. We will be thinking of all of you during this hard time. I will always remember your mom as such a nice person, she would always wave when were visiting my parents and stop to chat and ask how we were all doing when she would see us. Again, we will be keeping you in our thoughts and remembering your mom. We are so sorry to hear of Theresa’s passing. You are a very close knit family so Theresa will be greatly missed but in faith you all know the reality of death and the sure resurrection of His saints. Theresa will be greatly missed and you have our deepest sympathy. I was not able to come to the funeral home as I have been sick since the teachers breakfast. I never know when nature will call and therefore don’t go out..
Our sympathies & our prayers go out to Ange and the family in this difficult time. Her dedication to family & church will surely be remembered here and rewarded in Heaven. We will never forget the love and the friendship we have shared in years gone by. God Bless Theresa and the Juliano family.